Successfully Added Xiaomi Smart Ceiling Light - WiFi, Mobile Application, 32W, 2200 Lumens, 25000 Hours Lifespan to your Shopping Cart. Enlighten your life and spice up your furniture with this fashionable Xiaomi Smart LED Light. With its modern design this unique LED ceiling light forms the perfect decoration for any living room and bedroom alike. The possibility to play music and switch in between millions colors of light make this a truly unique device that is guaranteed to live up to your expectations. When paired with your wifi enabled device you can simply control the light emitted as to suit your current mood. Additionally the mobile Application allows you to create your own light effects that are guaranteed to bring along hours of mesmerizing fun and entertainment. Whether you use it in your living room to spice up your furniture, or place it in your children’s bedroom it to create a unique world of fairy tales – it is a true treasure that is guaranteed to spice up your life. 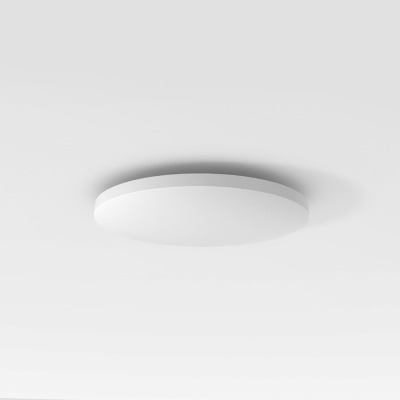 With this stylish and unique LED ceiling light the possibilities are endless.